Stories taking place during 2014, including the midterm elections. Great News! Early Voting Rights Protected! Read more about Great News! Early Voting Rights Protected! 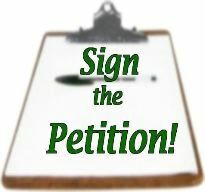 Reform Redistricting - Sign the Petition! The background: Nonpartisan, good government organizations in Ohio have proposed a constitutional amendment that would reform Ohio’s redistricting process. With enough support this issue can be on this November’s ballot, so that Ohio’s voters can decide. Read more about Reform Redistricting - Sign the Petition! Wow! Rachel does the research on what's really going on in Wisconsin -- and Ohio. As she puts it "millions for Repubs" vs. "bakesales for Dems". This is your starting point to learn more about the progressive candidates in our district.